Georgia Visa not required Not applicable to holders of Anguillian passport, Montserratian passport, Pitcairn Islands passport and Saint Helena passport. Guyana Visa required Holders of Montserratian passport are exempt. India Visa required e-Tourist Visa for holders of Anguillian passport, Caymanian passport, Montserratian passport and Turks and Caicos Islands passport. Jamaica Visa not required Not applicable to holders of British Virgin Islands passport and Caymanian passport. Can also be entered on a visa issued by Rwanda or Uganda. Kiribati Visa required Visa not required for holders of Bermudian passport, Caymanian passport, Montserratian passport, Turks and Caicos Islands passport. Montenegro Visa required Visa not required for holders of Bermudian passport. eVisa holders must arrive via Yangon International Airport. Visa not required for holders of a Certificate of Entitlement to the Right of Abode. North Macedonia Visa required Visa not required for holders of Gibraltar passport. Available at Hamad International Airport. eVisa is also available. 90 days for holders of a Certificate of Entitlement to the Right of Abode. Suriname Visa required Holders of Montserratian passport are exempt. Tanzania Visa on arrival Visa not required for holders of Anguillian passport, British Virgin Islands passport, Bermudian passport, Caymanian passport and Turks and Caicos Islands passport. Can also be entered on a visa issued by Kenya or Rwanda. Visa on arrival for holders of a Certificate of Entitlement to the Right of Abode. Visa not required for a visit of up to six months, or if the BOTC passport holder also has a British Citizen passport and/or a certificate of the right of abode. Otherwise, a visa is required for work, study, joining family or any other stay of more than six months. United States Visa required Visa not required for holders of Bermudian passport and for holders of Caymanian passport and Turks and Caicos Islands passport arriving directly from the Cayman Islands or Turks and Caicos Islands and holding a current certificate from the Clerk of the Court, indicating no criminal record. British Virgin Islands passport holders can travel to United States Virgin Islands and then continue travel to other parts of the United States if they present a Certificate of Good Conduct issued by the Royal Virgin Islands Police Department indicating no criminal record. A single entry eVisa valid for 30 days is available. Zimbabwe Visa required Visa not required for holders of Anguillian passport, Caymanian passport, Montserratian passport, Turks and Caicos Islands passport. British Overseas Territories citizens with a connection to the territory have right of abode. The passenger must arrive directly from the United Kingdom. Work or employment permit is required. Pre-arrival permit from the Commissioner required (72 hours/1 month for 110/160 pounds sterling). Permission to land required for 15/30 pounds sterling (yacht/ship passenger) for Tristan da Cunha Island or 20 pounds sterling for Gough Island, Inaccessible Island or Nightingale Islands, unless connection with Tristan da Cunha, in which case right of abode. Crimea Visa required Visa policy of Russia applies de facto. Sahrawi Arab Democratic Republic Visa not required up to 3 months. Hong Kong Visa not required 3 months Prior to April 1997, British Overseas Territories citizens were allowed to land and remain in Hong Kong for 12 months without being subject to any other condition of stay. Phú Quốc Visa not required Can visit without a visa for up to 30 days. Guam Visa not required Visa not required under the Guam - CNMI Visa Waiver Program, for 45 days. Must also present a Hong Kong identity card. Northern Mariana Islands Visa not required Visa not required under the Guam - CNMI Visa Waiver Program, for 45 days. Must also present a Hong Kong identity card. United States Minor Outlying Islands Special permit required Special permits required for Baker Island, Howland Island, Jarvis Island, Johnston Atoll, Kingman Reef, Midway Atoll, Palmyra Atoll and Wake Island. Antarctica Special permits required for French Southern and Antarctic Lands, Argentine Antarctica, Australian Antarctic Territory, Bouvet Island, Chilean Antarctic Territory, Heard Island and McDonald Islands, Peter I Island, Queen Maud Land, Ross Dependency. BOTCs only have visa-free entry to the UK if they have a certificate of right of abode or if they have obtained and are travelling on a full British Citizen passport. Otherwise a visa is not required for a visit of up to six months, for example as a General Visitor or as a Short-Term Student, but a visa is required for other study, for work, for joining family or for any other stay of more than six months. When in a country where there is no British embassy, British Overseas Territories citizens have the right to get consular protection from the embassy of any other commonwealth country present in that country. Several countries including Argentina, Cambodia, Japan, Malaysia, Saudi Arabia, South Korea and the United States demand all adult passengers (age varies by country) to be fingerprinted on arrival. ^ "Visa Information : Afghanistan". Archive.today. 14 March 2014. Archived from the original on 14 March 2014. ^ "Visa Information : Argentina". Archive.today. 14 March 2014. Archived from the original on 14 March 2014. ^ "Visa Information : Brazil". Archive.today. 14 March 2014. Archived from the original on 14 March 2014. ^ "Visa Information : Cambodia". Archive.today. 14 March 2014. Archived from the original on 14 March 2014. ^ "Visa Information : Canada". Archive.today. 14 March 2014. Archived from the original on 14 March 2014. ^ "Electronic Travel Authorization (eTA) - Canada.ca". Canada.ca. 2015-04-15. ^ "Visa Information : Cape Verde". Archive.today. 14 March 2014. Archived from the original on 14 March 2014. ^ "Visa Information : China". Archive.today. 14 March 2014. Archived from the original on 14 March 2014. ^ "Visa Information : Ecuador". Archive.today. 14 March 2014. Archived from the original on 14 March 2014. ^ "Welcome to Ethiopian eVISA - Apply for Ethiopian VISA online". Evisa.gov.et. ^ "Government of Georgia : Ordinance No 522 : On Approving the List of Countries Whose Citizens May Enter Georgia without a Visa" (PDF). Migration.commission.ge. Retrieved 14 October 2018. ^ "Visa Information : Guyana". Archive.today. 14 March 2014. Archived from the original on 14 March 2014. ^ "Visa Information : Iran". Archive.today. 14 March 2014. Archived from the original on 14 March 2014. 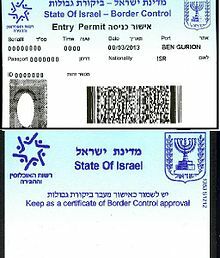 ^ "Visa Information : Israel". Archive.today. 14 March 2014. Archived from the original on 14 March 2014. ^ "Visa Information : Kazakhstan". Archive.today. 14 March 2014. Archived from the original on 14 March 2014. ^ "Visa Information : North Korea". Archive.today. 14 March 2014. Archived from the original on 14 March 2014. ^ "Visa Information : Laos". Archive.today. 14 March 2014. Archived from the original on 14 March 2014. ^ "Visa Information : Madagascar". Archive.today. 14 March 2014. Archived from the original on 14 March 2014. ^ "Visa Information : Mongolia". Archive.today. 14 March 2014. Archived from the original on 14 March 2014. ^ "Visa Information : Nauru". Archive.today. 14 March 2014. Archived from the original on 14 March 2014. ^ "Visa Information : New Zealand". Archive.today. 14 March 2014. Archived from the original on 14 March 2014. ^ "Visa Information : Nicaragua". Archive.today. 14 March 2014. Archived from the original on 14 March 2014. Retrieved 14 October 2018. ^ "Visa Information : Philippines". Archive.today. 14 March 2014. Archived from the original on 14 March 2014. Retrieved 14 October 2018. ^ "Visa Information : Saint Vincent and the Grenadines". Archive.today. 14 March 2014. Archived from the original on 14 March 2014. Retrieved 14 October 2018. ^ "Visa Information : Samoa". Archive.today. 14 March 2014. Archived from the original on 14 March 2014. Retrieved 14 October 2018. ^ "Visa Information : Seychelles". Archive.today. 14 March 2014. Archived from the original on 14 March 2014. Retrieved 14 October 2018. ^ "Visa Requirement : Somalia". Archive.today. 14 March 2014. Archived from the original on 14 March 2014. Retrieved 14 October 2018. ^ "Visa Information : South Africa". Archive.today. 14 March 2014. Archived from the original on 14 March 2014. Retrieved 14 October 2018. ^ "Visa Information : Tonga". Archive.today. 14 March 2014. Archived from the original on 14 March 2014. Retrieved 14 October 2018. ^ "Visa Information : Tunisia". Archive.today. 14 March 2014. Archived from the original on 14 March 2014. Retrieved 14 October 2018. ^ "Visa Information : Ukraine". Archive.today. 14 March 2014. Archived from the original on 14 March 2014. Retrieved 14 October 2018. ^ a b "Uncorrected Evidence eu25". Publications.parliament.uk. ^ "Entry requirements - Vietnam travel advice". Gov.uk. ^ "Entry requirements - Anguilla (British Overseas Territory) travel advice". Gov.uk. ^ "Entry requirements - Bermuda (British Overseas Territory) travel advice". Gov.uk. ^ a b "British Antarctic Territory - GOV.UK". Britishantarcticterritory.fco.gov.uk. ^ "Entry requirements - British Antarctic Territory travel advice". Gov.uk. ^ "British Indian Ocean Territory travel advice". Fco.gov.uk. ^ "Entry requirements - British Indian Ocean Territory travel advice". Gov.uk. ^ "Entry requirements - British Virgin Islands (British Overseas Territory) travel advice". Gov.uk. ^ "Entry requirements - Cayman Islands (British Overseas Territory) travel advice". gov.uk. ^ "Entry requirements - Falkland Islands (British Overseas Territory) travel advice". Gov.uk. ^ "PITCAIRN, HENDERSON, DUCIE AND OENO ISLANDS : Immigration Control Ordinance 2006" (PDF). Government.pn. Retrieved 14 October 2018. ^ "Entry requirements - Pitcairn Island travel advice". Government.pn. ^ "Entry requirements - St Helena, Ascension and Tristan da Cunha travel advice". gov.uk. ^ "Entry requirements - South Georgia and South Sandwich Islands (British Overseas Territory) travel advice". Gov.uk. ^ "Entry requirements - Turks and Caicos Islands (British Overseas Territory) travel advice". Gov.uk. ^ "Pilgrims Informations - Mount Athos Infos". Mountathosinfo.gr. Archived from the original on 2007-12-01. Retrieved 2014-05-01. ^ "VISA-FREE TRAVEL THROUGH THE CHECKPOINT "PEREROV - BIALOWIEZA" FOR FOREIGN CITIZENS". Archived from the original on 2015-07-15. Retrieved 2017-06-29. ^ a b "Entry requirements - Denmark travel advice". Gov.uk. ^ Jersey, States of. "Visa and passport requirements for visitors". Gov.je. ^ "Kiev declares passport control on border with rebel held regions". Rt.com. ^ "Procedure of the Entry to the Territory of the Republic of South Ossetia - Министерство иностранных дел". Mfa-rso.su. Archived from the original on 2013-10-15. Retrieved 2014-05-01. ^ "Entry requirements - Western Sahara travel advice". Gov.uk. ^ a b Visit visa / entry permit requirements for the Hong Kong Special Administrative Region, Immigration Department of Hong Kong, April 2017. ^ "Visa Information : Kurdistan". Timatic. Retrieved 13 April 2014. ^ "Antarctic tourism - British Antarctic Survey". Antarctica.ac.uk. ^ "Japan fingerprints foreigners as anti-terror move". Reuters. Reuters. 20 November 2007. ^ F_161. "S Korea to scan fingerprints of suspicious foreign visitors - People's Daily Online". People's Daily. ^ "Cambodia". 20 June 2013. Archived from the original on 20 June 2013. Retrieved 14 October 2018. ^ "Malaysia". 17 February 2011. Archived from the original on 17 February 2011. Retrieved 14 October 2018. ^ "Saudi Arabia mandates fingerprints and biometrics for foreigners - SecureIDNews". ^ "Office of Biometric Identity Management". 27 September 2007. ^ "Trade and Media - Holidays in Austria. Travel Information of the Austrian National Tourist Office" (PDF). Austriatourism.com. Archived from the original (PDF) on 2017-02-14. Retrieved 2017-05-30. ^ "Demanda Turstica Internacional Slides 2017" (PDF). Retrieved 2018-06-10. ^ Administrator. "Visitors by Country of Residence". Archived from the original on 2016-03-19. ^ "Tourism Statistics 2015 p.34" (PDF). Archived from the original (PDF) on 2017-01-31. ^ "MINISTRY OF TOURISM, WILDLIFE AND ANTIQUITIES SECTOR STATISTICAL ABSTRACT,2014". Archived from the original on 2016-05-07. This page was last edited on 30 March 2019, at 19:30 (UTC).